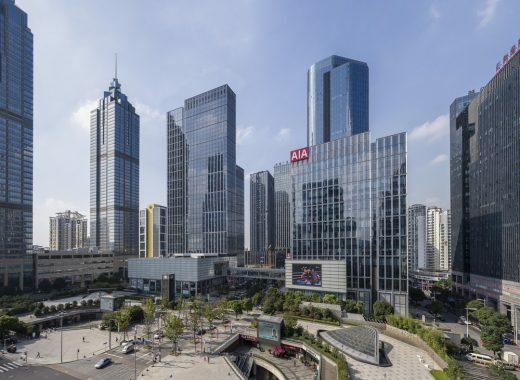 The opening of The Summit development in Suzhou, China, late last year marked the completion of the two-building mixed-use complex, designed by architecture firm Goettsch Partners (GP) and developed by Tishman Speyer. 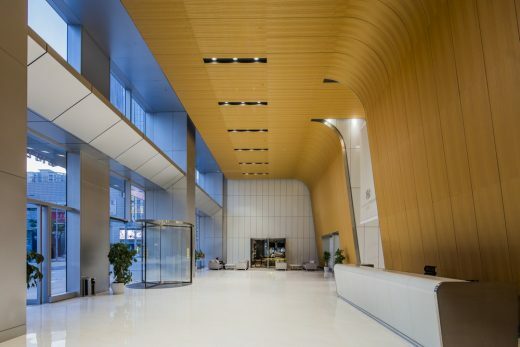 The 150,060-square-meter complex is the first major collaboration between GP and the leading international real estate company. 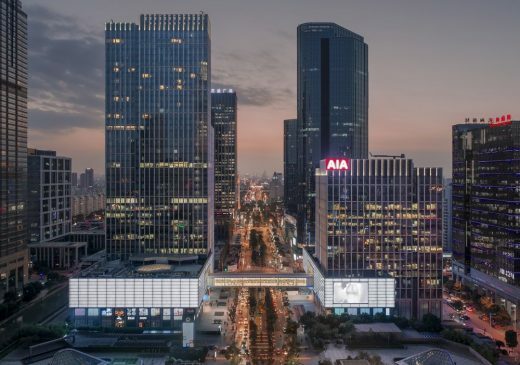 The project encompasses a two-parcel development connected by a free-span conditioned bridge over Suhua Road, Suzhou’s ceremonial boulevard and main axis for commercial development. 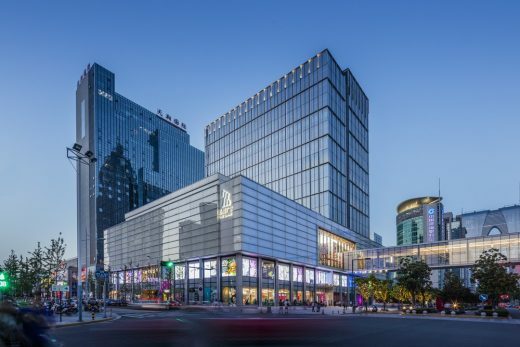 The 16-story building on the north parcel consists of a four-story, 21,000-square-meter retail podium with 12 floors of office space totaling 19,560 square meters above. On the south parcel, a 39-story building rises 167 meters. Similar to that on the north parcel, the building includes a four-story retail base of 22,000 square meters. 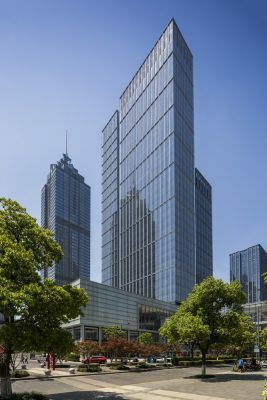 The tower portion comprises 16 levels of office space totaling 29,530 square meters and 17 levels of luxury residences totaling 22,080 square meters. The residences, in particular, offer unobstructed eastern views to Jinji Lake. GP’s concept organizes the various program elements into a series of interlocking volumes. Each volume is sized to provide ideal functional depth for the program contained within, while creating a compositional quality that visually unifies the two parcels. 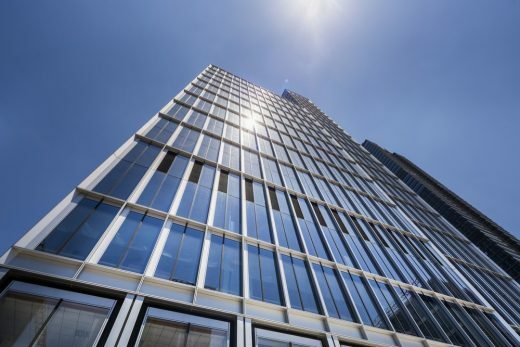 An innovative, gridded façade system is utilized on both towers to visually connect the projects while seamlessly integrating operable ventilation for all users. 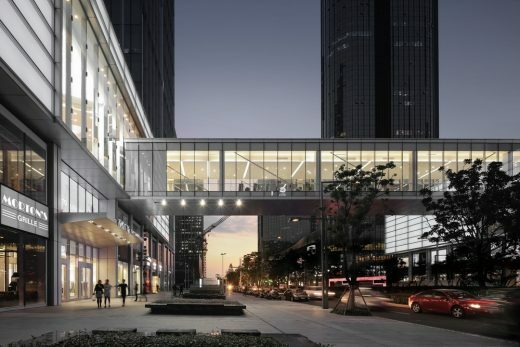 The project is certified LEED Gold, and direct connection to mass transit, extensive green roofs, locally sourced materials, and high-performance enclosures are a few examples of the sustainable strategies employed throughout. The efficient, modern towers also strive to translate elements of context into the architectural expression. Therefore, the project color palette of white, gray and black was inspired by the architectural vernacular of Suzhou. 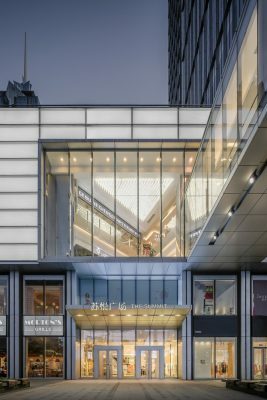 Capturing an essence of the city was critical, as the project enjoys unparalleled visibility within the downtown due to its location along the ceremonial boulevard and its immediate adjacency to public plazas to the east. The development marks the 14th completed project for GP in Suzhou, starting with the Suzhou International Tower completed in 1999.